Lots of internet was spent wondering if there would be demand for a Ram 1500 with a diesel engine. I mean, we say it's a great idea, but truck buyers could've There's no need to wonder anymore, because the whole first run of Ram EcoDiesels sold out in less than three days. The Ram 1500 will be first half-ton pickup of modern times to get a diesel engine. Interesting. That's 8,000 orders for the truck between the afternoon of Feb. 7 and morning of Feb. 10, Chrysler reported today. Those orders are expected to be shipped to dealers beginning next month. "It's every truck manufacturer's dream to have this kind of initial order demand for a product," Ram President Reid Bigland said in the news release today. He sounds like he just hit the lottery. Chrysler thinks this has a lot to do with the Ram EcoDiesel's 28 MPG rating. And that could very well be a big factor, because that's a damn good highway fuel economy figure for a full-size truck. 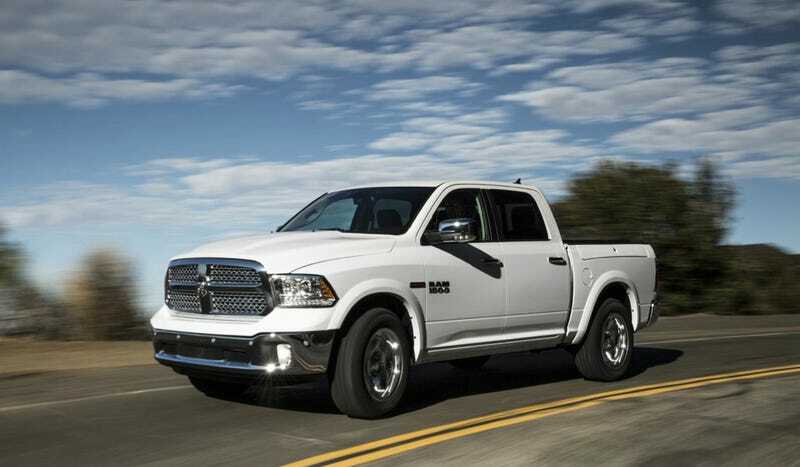 There are more Ram diesels to be ordered later in the year. But they could very well be snapped up quickly like this first batch.